From the smallest smoke-filled clubs of Santiago de Chile in the early nineties to the global stages of the biggest dance festival in the new millennium, while refining his craft in the sweaty underground European clubs at the end of the last century, Luciano has become a true landmark of excellence and devotion to electronic music. Remaining true to his juvenile passion, his enchanting charisma has remained untouched despite his never ending face-off with ever-growing challenges. Born in Switzerland and raised in Santiago, Luciano fell under the spell of Detroit first and second wave of producers. Determined to share his passion for techno, he spun records in clubs where disgruntled rock fans stubbed out cigarettes on his vinyl. But Luciano carried on, gradually winning a loyal following and pushing dance music to uncharted territories in Chile. Not only DJing but also promoting Sense Club and Encuentros Con La Technocultura in Santiago de Chile together with many pioneers of the Latin American Electronic Music Scene: Señor Coconut AKA Atom Heart, Ricardo Villalobos, Dandy Jack just to name a few. He was a pioneer during the 90s in the electronic music scene in Chile together with Euphoria, Sidharta, Adrian Schop, Dj Down, Zikuta and many others. By the age of 21 his DJ career was blossoming as he was playing to thousands of ravers at Santiago’s parque Almagro or Love Parade. His love of music had brought him fame, but despite this huge success in his land, he forged ahead and moved to Europe, determined to face new challenges. He humbly made his way into the inner circles of the scene, thanks also to his South American associations, like Ricardo Villalobos and Dandy Jack, but ultimately finding and refining his own unique sound and style, an irresistible combination of minimalistic techno and hot-blooded Latin rhythms. A blend of emotions, rythm’s and melodies. Starting with a string of outstanding releases on acclaimed imprints such as Perlon, Peacefrog, Mental Groove, M_nus, Transmat, Playhouse, Klang Electronic, Metroplex, Novamute and many others Luciano founded Cadenza Records in 2003, a label that has become a trademark of excellence, brought a new genre of music and trend setting within electronic Dance music. Ranking as one of today’s most influential world traveling DJs and Performers, Luciano has always been at the forefront of electronic music. He has brought his charming unique blend of Techno and infectious melodies to crowds all over the planet, taking the stage at all the most renowned clubs and festivals. After more than a decade, Cadenza Records has more than accomplished its ambitions, becoming one of the most respected electronic labels on the planet overstepping an hundred of quality releases, featuring a copious group of artists following Luciano´s lead. The digital sub label Cadenza Lab has served as a platform for young and underrated talents, while Basaec, founded in 2014, has been showcasing Luciano’s first productions as Luciæn dating back to his late teenage years. 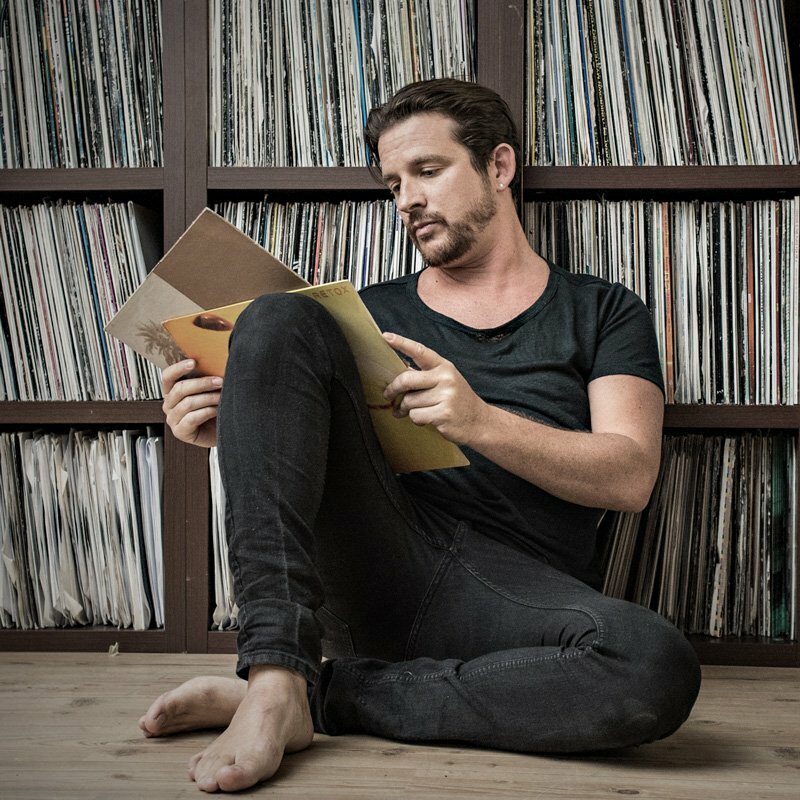 Luciano vaulted himself into the annals of Ibiza dance history in 2006 by forming a partnership with Circoloco at the DC10 club over a 3 year residency, until the venue was temporarily closed by the authorities. After debuting his innovative critically acclaimed multimedia show ‘Aether Live’ in 2009, Luciano relighted the underground nightlife of the Isla Blanca with a free event at the Ushuaïa beach bar which soon turned into the biggest party of the summer. From then on, a Sunday residency at Pacha gave birth to the Vagabundos concept in 2010, leading him and his dandy fellowship of beatmakers to become the hottest summer sensation. The Luciano & Friends residencies were featured throughout the summers of 2012 & 2013 at the new Ushuaïa Hotel which had morphed from a tiny beach bar into a megaclub nested into an extraordinary hotel. During the summer of 2014 the Origins party turned Amnesia upside down. In 2017, Luciano & Friends was hosted on selected Thursday evenings at the beautiful open-air Destino for the past four summer. Beside his musical commitments, Luciano together with Francisca Leon and his sister Amélie have founded the charity ‘One Coin For Life’. With donations from the Electronic Music industry its goal is to collect funds to help communities around the world to preserve their cultures and traditions and to enhance social awareness on vulnerable indigenous populations. Its first venture included building schools for the children of the Arhuaco and Kogi tribes in Colombia; successively it dedicated to sustain the orphans of the Vipingo Village in Kenya. Currently its donation are mainly dispatched to the Moroto school in Colombia.